← Bright Sights ! Pink City ! Grumman ’78: Built on blood, sweat and cheers! On a trip to Mexico in December of 2009, a group of friends loaded into a van-sized taxi and took the road less travelled to the middle of nowhere. They ended up at a simple taco restaurant with plastic furniture in a courtyard twinkling with fairy lights strung from wall to wall. The setting was authentic, the ice-cold beer fridge was well stocked and the food was excellent. Once back at home, three of the friends Hilary McGown, Mark LeClerc, and Gaelle Cerf, decided that there was no reason why this delicious food couldn’t be available in Montreal. Mark was working at McKeirnan’s and tacos were one of the items he was cooking there. Not wanting the commitment of running a restaurant at the time, they decided a food truck was the way to go, even though food trucks were then illegal. That didn’t stop them. They would be mobile which would be great for catering, and the truck could be a promotional gimmick. They thought that they could one day saw it in half, and mount it on their restaurant wall. That gimmick turned out to be the the first of now 40 food trucks in Montreal since food trucks were legalized in 2012. 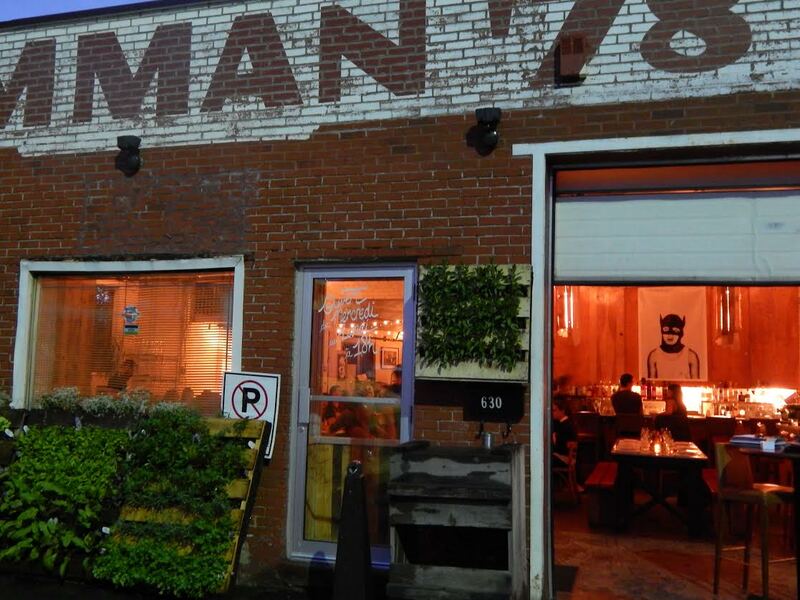 The restaurant that inspired them was Las Guacamayas, and the booming restaurant they now own is called Grumman ’78. 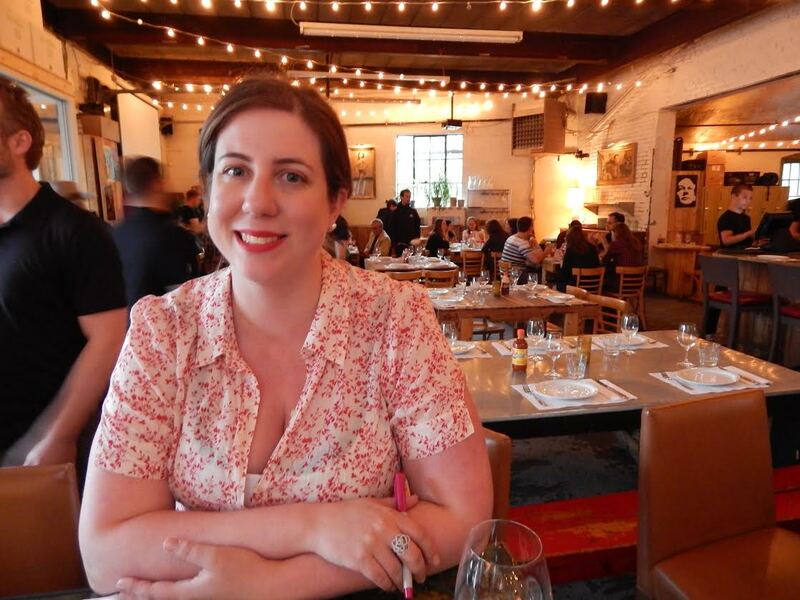 I sat down over drinks with renegade restaurateur Hilary McGown to find out more about their road to success and take some photos of the restaurant. 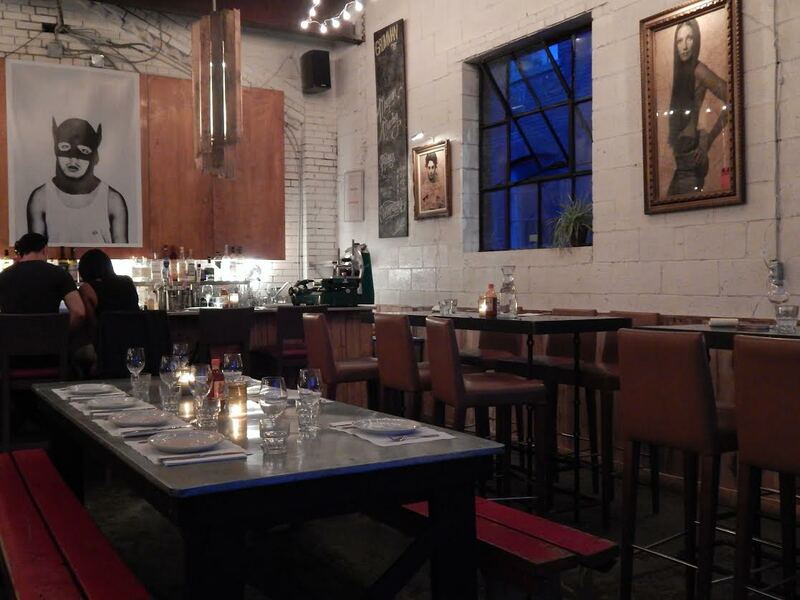 Not only is the food amazing but I love the style: art-filled, laid back and spacious. It is a little hard to get to which is part of the experience, a little bit like the original adventure that lead to their inspiration. The name Grumman ’78 comes from the actual year and type of truck they purchased. 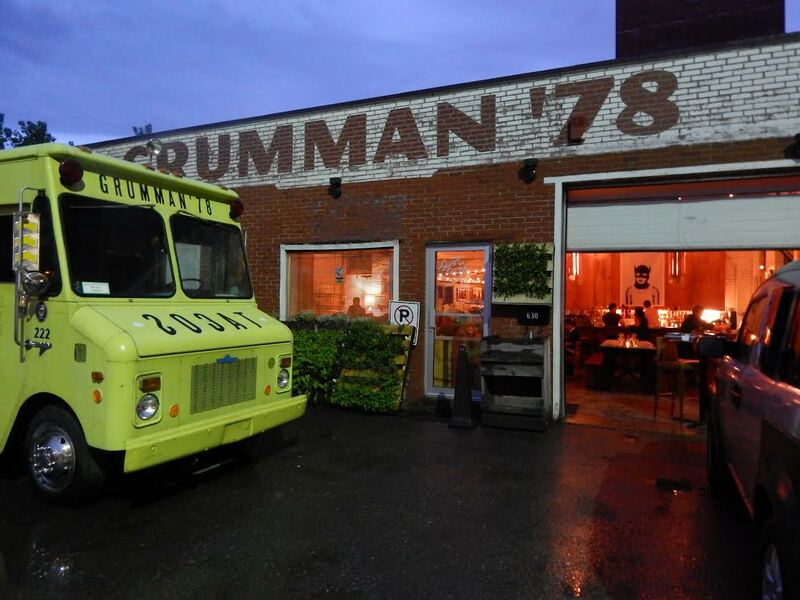 Business began in August 2010 with the Grumman ’78 taco truck and then grew in December 2010 with the purchase of a garage that they turned into a production kitchen and accounting space. 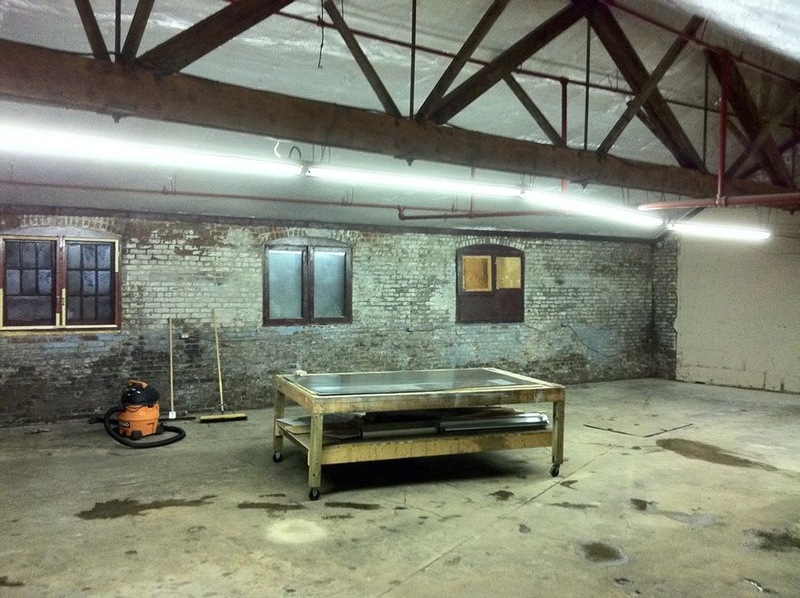 They would rent out the front of the production kitchen for special events or for friends. They hesitated to open a restaurant because they felt it would be a headache, the profit margins are low and they weren’t sure about managing a big staff. The truck was a success at corporate events, and festivals like the International Jazz Festival and Les Francofolies. However in the first year they didn’t turn a profit as these type of festivals take a large share of your sales. They forged ahead. In 2011 the truck became almost exclusive for private events, but that wasn’t their vision. They thought they had something delicious, fun, and interesting to offer everybody. They opened a kiosk at Le Faubourg which ran from April 2012 to September 2012 as a “stationary truck” but had to shut down due to some problems with the building. This was not great timing considering Hilary was 10 months pregnant and they had a staff of 30! 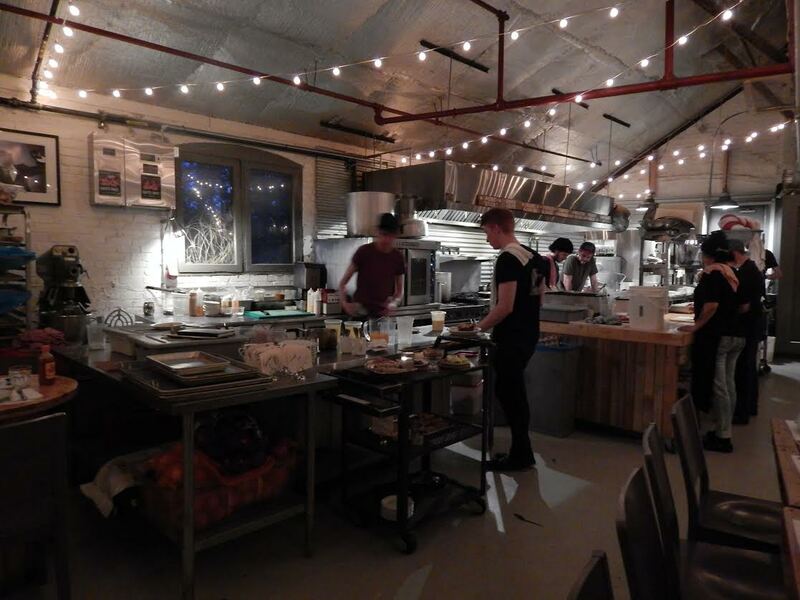 They decided to try opening the production kitchen and private room from Wednesdays to Fridays to see how it went, while maintaining Saturdays exclusively for private events. They knew if they were going to do this they had to step up their game and put some money into the décor. They decided to ask friend and artist Dave Arnold to help. He had created the Grumman ’78 truck logo, the famous taco image and all their branding. You would also know his work from the hand-painted signs for Joe Beef and Maison Publique. 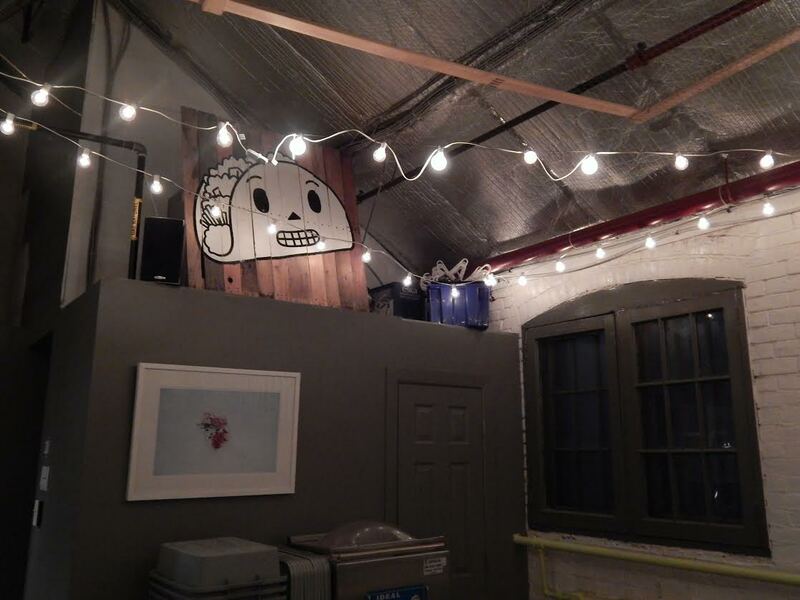 Currently on the walls at Grumman ’78 is part of Dave’s series called the “Golden Moles”. 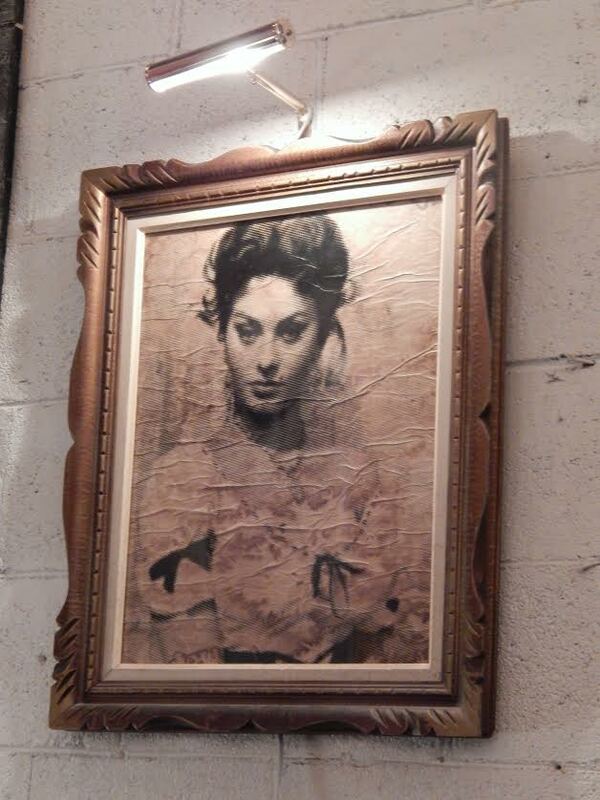 The concept is mysteriously-aged digital prints of Old Hollywood celebrities with a gold-leaf mole on their face. Cher sold for 800$ and Hilary and Mark bought the Sophia Loren for an undisclosed price. It will stay at the restaurant for now and eventually be brought home. The wooden doors currently above the bar will painted by Dave with an owl. You will be able to purchase and mount this piece on your wall like a flat-screen television for the yet to be determined but price of around $10,000. Mark has been behind much of the creative genesis of the look of Grumman ’78 and is also the chef. It was his idea to create a table out of tiny plastic army figures, and another out of pentium chips, both with the help of “Wally the Welder” whose metal work can be seen at Camponelli on Notre-Dame and Le Chien Fument. 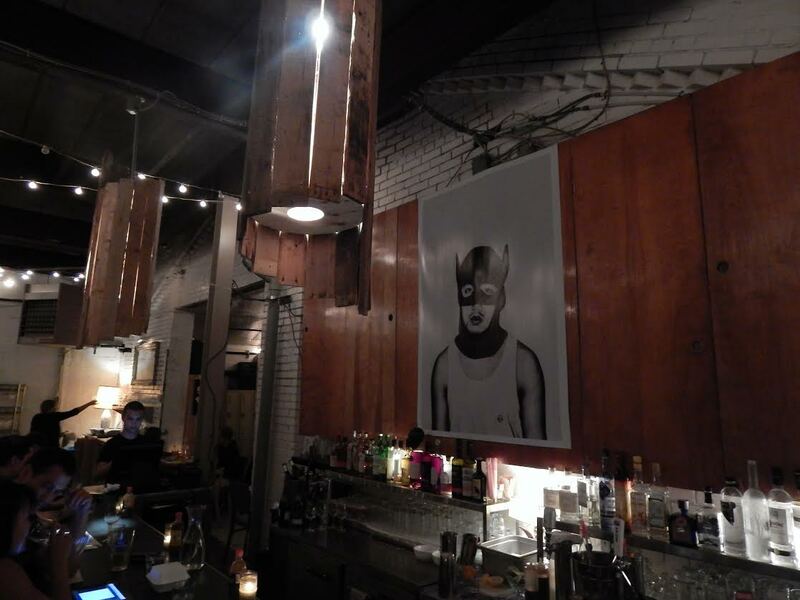 Mark designed the cylindrical wood lights above the bar, chose the pac-man machine, and put up the screen for the Japanese Manga comics that he loves. On a recent Saturday they did 270 covers which is pretty amazing. Hilary says, it has been blood, sweat, and tears that has gotten them to this point. They have world-renowned pastry chef Nick Kemball who used to work at Toqué, and 2 amazing sous-chefs Jason Morris and Jean Benoit Morin. 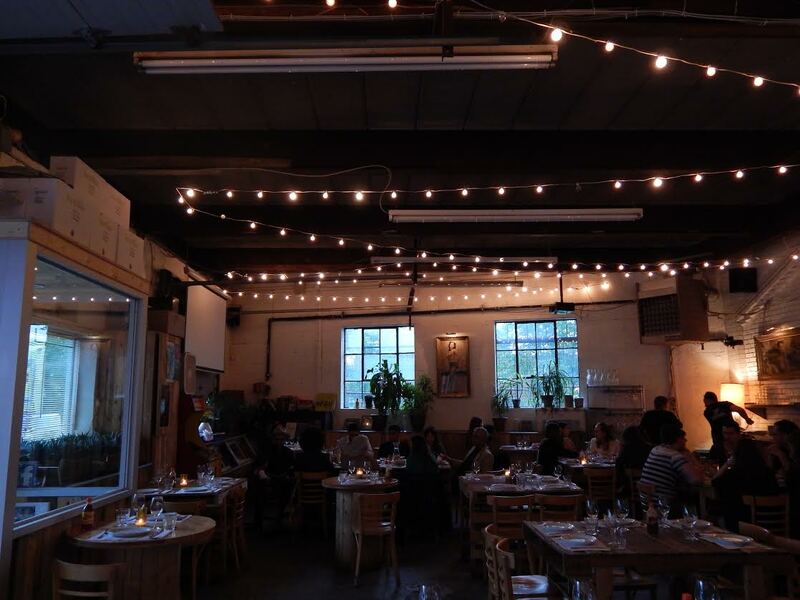 Grumman ’78 is a child-friendly restaurant with 1 high chair and 2 booster chairs available. They don’t consider themselves fancy, but Hilary does say “Why can’t you have a 5$ taco with a 150$ bottle of champagne?”. The two most popular dishes are the Banh-mi tacos and spicy dynamite salmon with tempura made from olive oil so it is less greasy than regular tempura. “We took the spicy dynamite salmon off the menu a few weeks ago and people screamed bloody murder.” The menu is always changing and they have daily specials so you will never be bored. 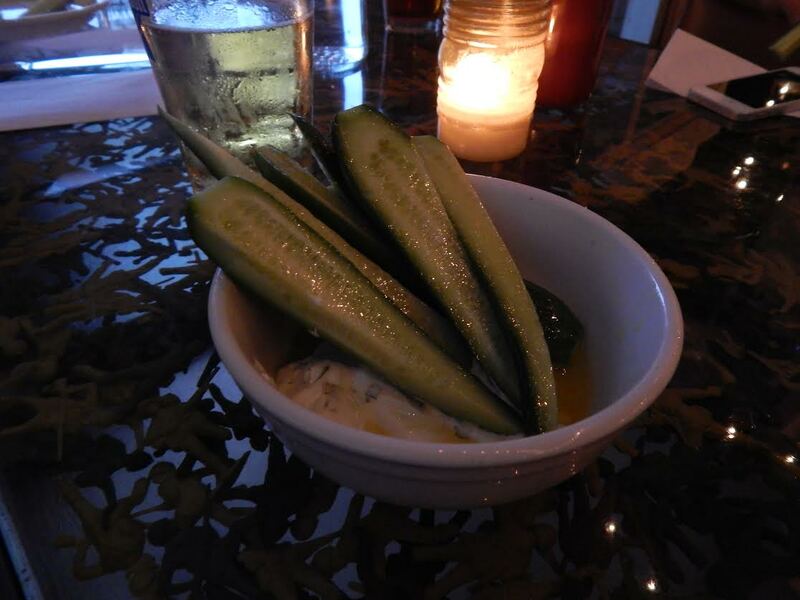 My personal favorite is the cucumber salad with yoghurt sauce and the fried chicken with johnny cakes. OMG. Part of what makes their food so tasty are the fresh ingrediants from local growers, the jean-talon market and the herb garden Mark grows out front. I feel like I have missed out on this amazing gem, thank you for letting us see more of how great of an experience it is to eat there! Will go for sure! You and Robert will love it! Everything is so tasty and fresh! I am here as I write, it’s amazing! 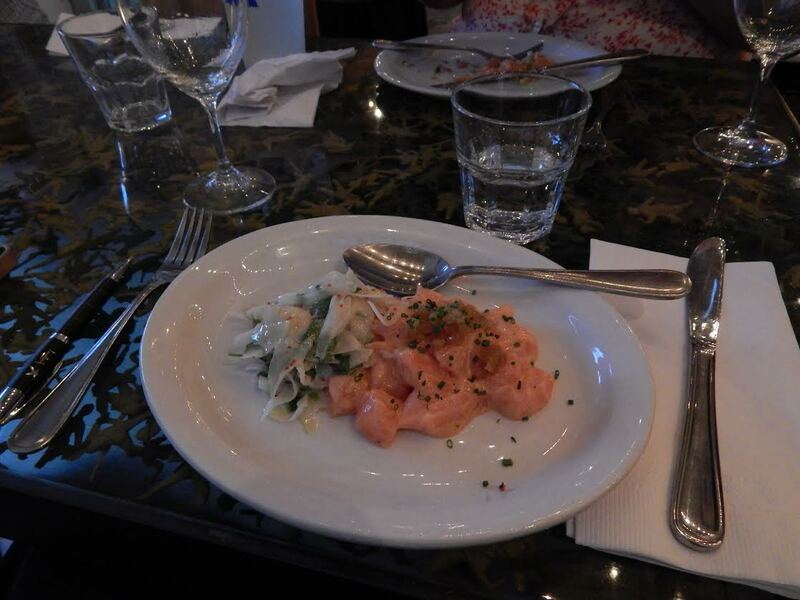 The cucumber entree and the salmon with fennel are delicious!!! And great ambiance and music! 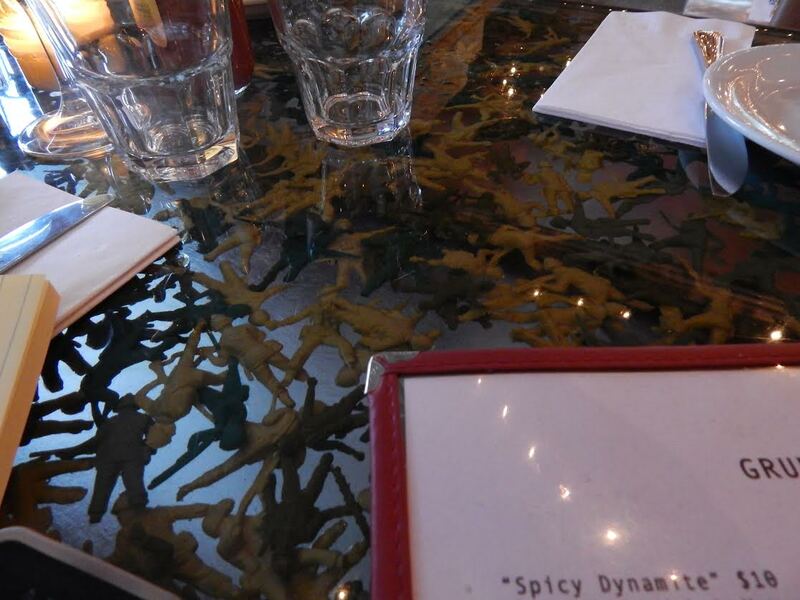 Thank you for a great recommendation, xtof and I loved the place!